using the same proven flywheel technology and advanced algorithms pioneered by Wahoo's other legendary trainers. than any other brand, KICKR CORE stands tall as the essential foundation for data-driven training and cycling superiority. The Wahoo Fitness app is designed to keep your trainer up to date and leverage your smartphone during running, cycling, or other workouts to deliver data-driven power that fuels your training and fitness goals. Get the app now to register your KICKR CORE and get cranking. While the below video describes compatibility with the 2017 Edition KICKR, compatibility is identical with KICKR CORE, save for some additional clearance around the drivetrain for even greater compatibility with select thru axle bikes. 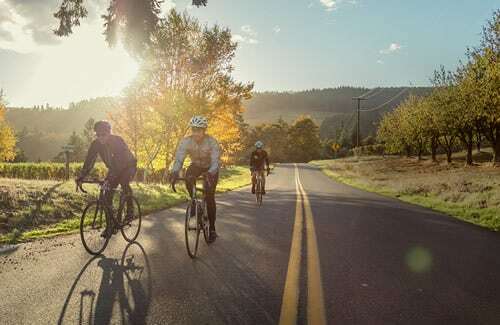 The Wahoo KICKR CORE is compatible or adaptable with most bike styles and types; however, exclusions may include various single speed, track, recumbent, and some thru axle bikes. Mountain: 24", 26", 27.5" / 650b, 29"
Still unsure or have a Campagnolo drivetrain? Contact support to further check compatibility for your bike. 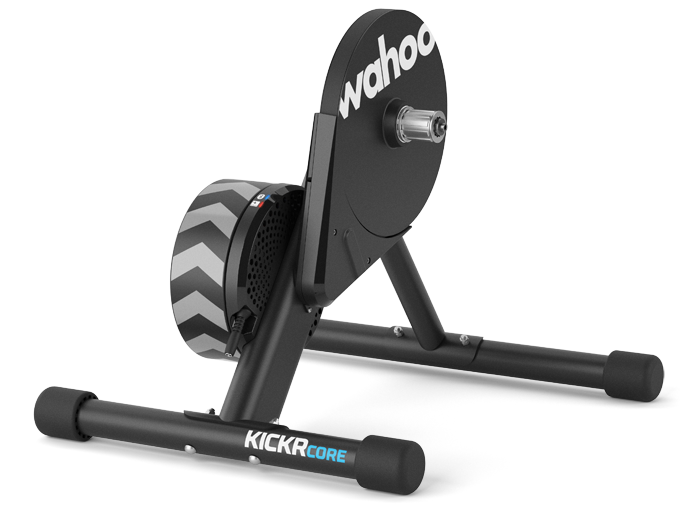 The Wahoo KICKR CORE is designed to work with the Wahoo Fitness app which supports devices running iOS 9.0 and newer. The Wahoo KICKR CORE is designed to work with the Wahoo Fitness app which supports most Bluetooth® compliant Android devices running Android version 4.4 KitKat or newer. Note: Since Android devices vary widely, compatibility cannot be assured for all devices. 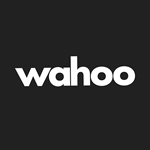 Please download and install the Wahoo Fitness Android app from the Google Play Store before purchasing a Wahoo Fitness product to ensure compatibility. The Wahoo KICKR CORE supports various Windows and Mac applications with Bluetooth and/or ANT+ capabilities. Note: the Wahoo Fitness app (required for important firmware updates) is only available on iOS and Android mobile devices. The Wahoo KICKR CORE is compatible with many 3rd party iOS, Android, Windows and Mac apps. For a list of confirmed compatible 3rd party apps, see the chart at the end of this guide. The Wahoo KICKR CORE requires minimal cleaning and maintenance if dirt or grime collects. If cleaning is needed, clear any debris and use a water-moistened soft cloth to wipe surfaces, avoiding dripping moisture into any part of the KICKR CORE itself. Also avoid using strong cleaning agents as these may damage or reduce the lifespan of your KICKR CORE. Download the Full Wahoo KICKR CORE Quick Start Guide as a PDF for instructions in English and other languages. 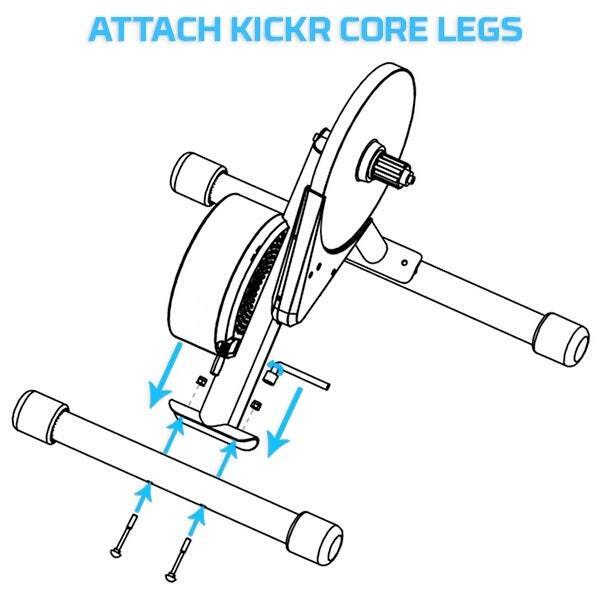 The KICKR CORE comes with legs detached to minimize transportation and storage size. Select a stable, level surface with sufficient room for trainer and bike. Retain packaging for future storage or transport. Attach the legs by inserting the included bolts through the bottom of the trainer leg assemblies, then secure them using the included nuts and hex wrench tool on the opposing side. Repeat the process for the second leg and tighten all bolts firmly to prevent injury or damage. After attaching both legs, pull the front leg completely forward to fully extend the trainer base and ensure maximum stability before attaching your bike. Warning: always check trainer stability before riding. Use the included AC power adapter to connect the trainer to a standard 120v wall outlet. Caution: use of unofficial power adapters may cause permanent damage to your KICKR CORE. Though the video below shows cassette installation on a KICKR '17, the process is nearly identical for KICKR CORE. If you're uncomfortable with installation or don't have the required tools, consider consulting your local bike shop for further installation assistance. If installing anything other than an 11-speed cassette, first install the 1.8mm spacer included with the KICKR CORE. 11 speed cassettes do not require the 1.8mm spacer. If your new cassette includes an additional spacer, install this before installing the cassette. Otherwise, install the new cassette on the freehub body directly. Be sure to properly align each cog with the splined freehub body. Complete by installing the cassette lock ring and tightening by hand. When snug, tighten with an adjustable wrench another 6-10 clicks (roughly 1/4 turn) to secure. 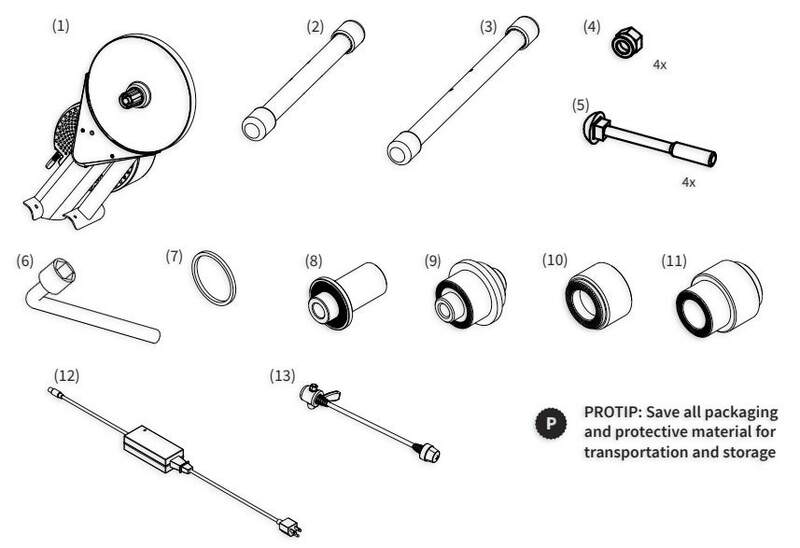 Note: before attaching your bike, please select and install the appropriate axle spacer for your bike. Most road bikes use 130mm spacing, while cyclocross and mountain bikes with quick release skewers and disc brakes use 135mm spacing. Reverse the spacer before mounting a bicycle with 135mm spacing, or use the appropriate adapter for wider spacing and thru-axle bikes. Remove your rear wheel, beginning by shifting into the smallest rear cog and smallest front chainring. Release your rear brake before opening the quick release lever or removing the thru axle. After removing the QR skewer or thru axle, lift the frame while pushing down on the rear wheel to remove it. For quick release skewers, insert the skewer into the trainer and loosely attach the acorn nut. Align your bike's rear dropouts over the skewer and gently extend the derailleur to the rear to pull the chain taut. For thru axle bikes, center the bike’s rear axle with the matching axle hole in the KICKR CORE drivetrain. On bikes with quick release skewers, it's important to rock the frame back and forth to ensure the dropouts are fully seated on the skewer. Once seated, firmly tighten the quick release - slowly tighten the acorn nut while moving the lever until you feel resistance when half closed, then clamp completely. Fully clamping the lever should take enough effort to leave a defined imprint on your hand. Warning: quick release skewers must be completely tightened before riding, requiring significant effort and leaving a defined imprint on the hand. Failure to properly tighten the quick release skewer may result in damage or personal injury. If unsure of proper tension, consult your local bike shop or contact support for assistance. Do not ride the KICKR CORE if the quick release skewer is not properly installed. Check skewer tightness and secure mounting before every ride to avoid injury or damage. Pairing with the Wahoo Fitness App for iOS or Android is essential to the KICKR CORE setup and update process. Note: Important trainer updates can only be installed from iOS or Android devices. If this is your first time pairing, take a moment to register your KICKR CORE. For the smoothest ride, be sure to update your firmware if prompted as well. Lastly, you'll need to perform a spindown (as outlined in the section below) to calibrate your KICKR CORE on first use and every 2 weeks after. Your KICKR CORE is now paired and ready for action! To use your KICKR CORE, start a workout in one of the profiles you marked the KICKR CORE active for. Swipe right within a workout to access detailed KICKR CORE controls and workout modes. For more details on workout modes see What Are the Different Modes on My Smart Trainer? Since the Wahoo Fitness app remembers saved devices, you can skip the sensors page next time - just start a new workout to get kickin! If this is your first time pairing, take a moment to register your KICKR CORE. You'll need to perform an initial spindown to calibrate the KICKR CORE (as outlined in the next section below) and every 2 weeks after. It's important to update your KICKR CORE as well by following these instructions. Performing a spindown calibrates your KICKR CORE to ensure maximum accuracy and proper resistance. A spindown is recommended every 2 weeks or after moving the KICKR CORE to a new location. For more information, see Wahoo Fitness iOS App Instructions. Note: Spindowns on Android require a Bluetooth® connection. Plug in your KICKR CORE Power Trainer if you haven't already. Ensure Bluetooth® is turned on and open the Wahoo Fitness Android App. Select the Sensors button from the Home Screen to find your KICKR CORE. Note: a Bluetooth connection is required. If already saved, select the KICKR CORE shown. Otherwise tap the plus (+) to search for it. Once your KICKR CORE is selected, find the Spindown button on the Device details page and follow the instructions in the app. A spindown is recommended every 2 weeks or after moving the KICKR CORE to a new location. For more information, see Wahoo Fitness Android App Instructions. 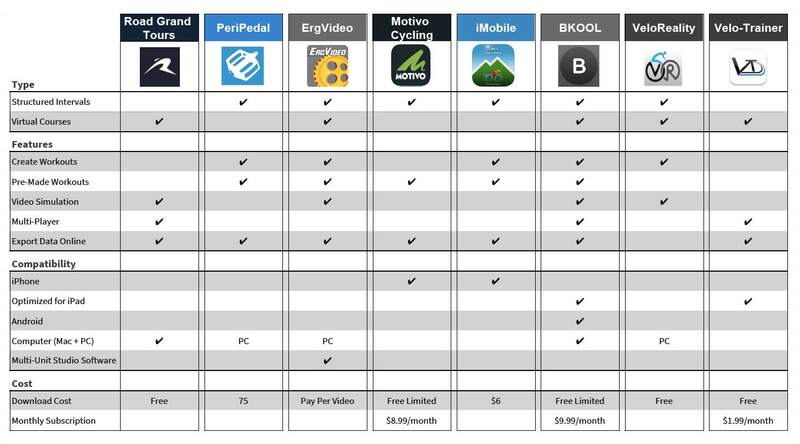 From virtual courses to structured wattage workouts, these KICKR CORE compatible apps meet even the most demanding training needs. The KICKR CORE is also controllable from the ELEMNT and ELEMNT BOLT (instructions here). 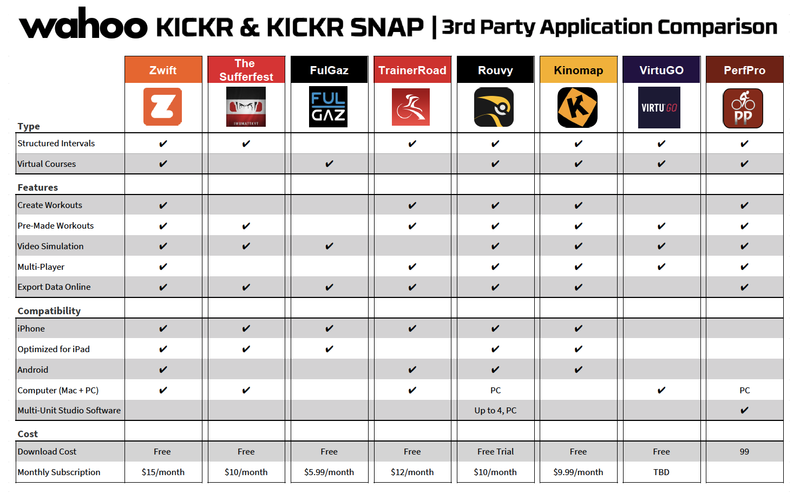 Download the KICKR CORE App Comparison Chart in PDF format. Have questions? Visit support.wahoofitness.com for additional support.